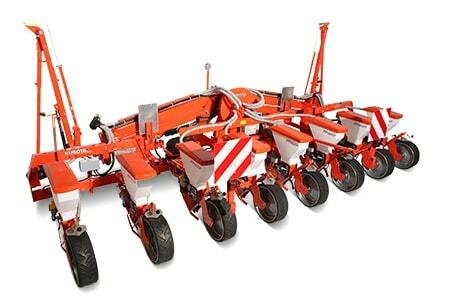 The universal precision drills for maize, sunflowers, field beans, unpelleted beet, pelleted beet, dwarf beans, soya beans, peas, and many other types of seed. It can be used for a whole diversity of applications and offers greater capacity through increased working widths. The PP1000 series is available with working widths from 3 to 6m, with flexibly adjustable row widths and a wide range of additional equipment. 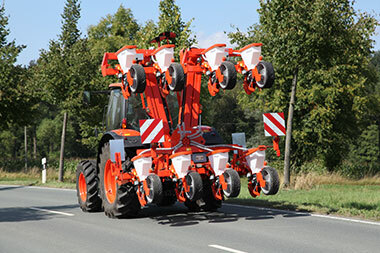 The arrangement of the idler wheels in front of the sturdy machine frame - built from 120 mm square-section tubing is featured only on Kubota precision drills and allows for example the use of flotation tires and an infinite adjustment of track with.